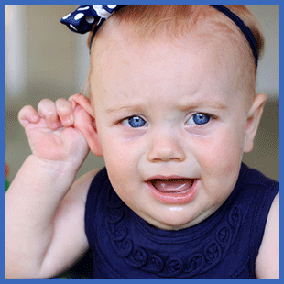 The American Academy of Pediatrics reports that ear infections are one of the most common ailments for young children and the second leading cause for surgery in children under two years old. Research shows that more than five million children suffer from chronic ear infections resulting in 30 million doctor visits and more than 10 million prescriptions for antibiotics each year. Ear infections can cause symptoms ranging from mild to severe pain, irritability, fever and sleeplessness, which can not only affect the sufferer, but also disrupt the peace in a household. For children with chronic ear infections, upper cervical care may be an ideal solution to treat the cause of the problem rather than just reacting to symptoms. Misalignments in the top two bones in the neck, often caused by birth trauma, may affect the proper functioning of eustachian tubes in the ear. These tubes need to open and close correctly to avoid creating an environment where bacteria can thrive, causing infections. A study of upper cervical corrections in children found that 80 percent of those cared for with a series of non-invasive corrections became free of ear infections by enabling the inner ear to properly open and drain. With upper cervical care many children naturally develop their own antibodies and recover quickly without the use of medications and/or surgery.